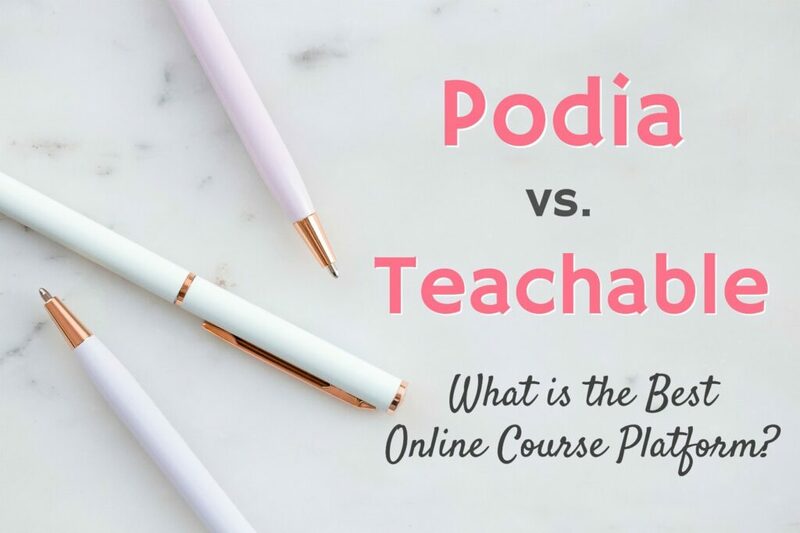 Is Podia or Teachable better for your online courses? Here’s the surprising answer. When I knew that I wanted to create online courses, one of the biggest things holding me back was knowing what online course platform to choose. It’s a big decision, and when you make the wrong choice it can take lots of time to switch to a better hosting platform for you. About three years ago, I was one of those people that got caught up in a flash sale frenzy and bought a year long subscription to Teachable, along with some other “perks” that went with the Thanksgiving Day sale. This promotion is always widely advertised by bloggers making tons of money selling courses, and they do free webinars, offer upsells of bonus materials and more. I fell for the sale and soon afterwards immediately regretted it. The bonuses weren’t anything that made a difference in my business. And buying that year long plan? Yeah, that was a total mistake when I realized Teachable wasn’t the best online course platform for me. But they refused to refund any hosting fees for the year (even prorated for the 9 months I wouldn’t use). Which made me VERY nervous about trying to start another online course or choosing a better platform to host my courses on. When I was brave enough to make the decision to really start my online courses again, I found Podia. And it was like a breath of fresh air. Podia is what I had been wanting from an online course platform and didn’t know it existed. I’m very happy with Podia, and have seen instant success with my courses. Here’s how I made my decision between Podia vs Teachable. After having horrible customer service with Teachable previously, I was really not looking forward to going back to the online course platform again. But I would have if it was the best answer. In years past, I had a Teachable account and hosted a course on it. I did buy a year long plan but about 3 or 4 months into the plan I realized I did not like Teachable. 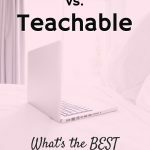 It was a variety of things, not just one thing that made me not like Teachable. But I knew that I didn’t want the $1,000 investment into the year long plan anymore. When I asked for a prorated refund of the months that I would not be using for Teachable if I left the course platform, they told me they would not refund the money. Okay, I get that I paid for a year membership. But most companies with customer service would accept that they might not be the best fit for you and give you money back for services NOT rendered. In this case, months of course hosting that would not be used. A few years later, I logged back into my Teachable account to see about setting up a new course. I figured since everyone uses Teachable, it had to be the best online course platform, right? I was shocked at the price structure (we’ll talk about that later), but other than that I had a few questions. While I knew that I wanted to start creating my online course, I wasn’t completely sure what to name it yet. But I had to choose a name at the very beginning when creating a course in Teachable, before I could start writing anything. So I sent in an email asking if the URL of the course (with the course name) could be changed before I hit publish. And that’s pretty much when I knew their customer service hadn’t improved and was not what I was looking for. 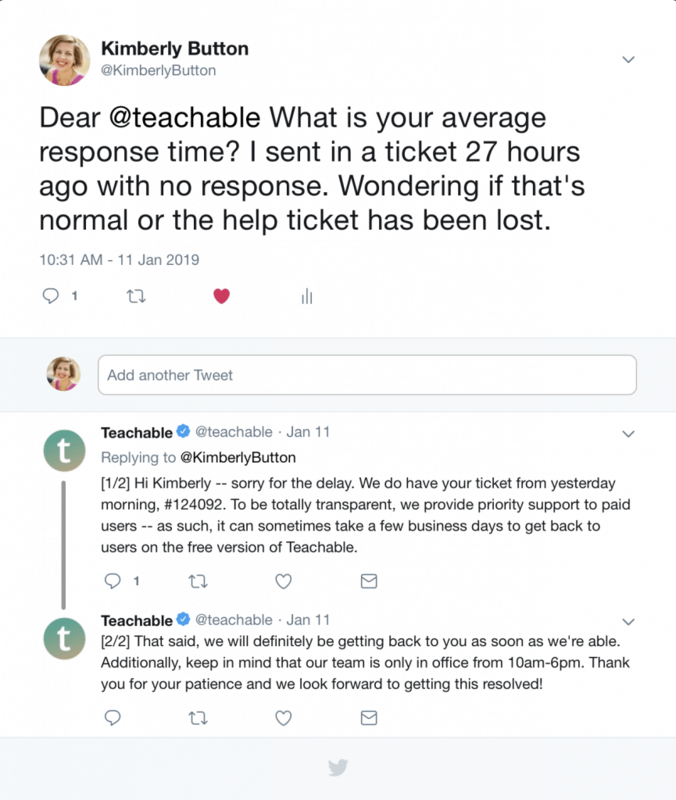 After a day with no response to my email via their contact form, I tweeted Teachable on Twitter asking if they were having customer service delays. They responded by saying that their customer service only works from 10 a.m. to 6 p.m. and they would answer my question when possible. Then I was told that because I was on the free plan (which doesn’t exist anymore, I must have been grandfathered in from a previous type of plan) that my request wouldn’t take priority compared to other people’s requests. And then I was informed a day or two later via an email response that the URL and course name that I chose when writing my draft course (before publishing) could not be changed after I created it. So let’s just say I was pretty much frustrated with Teachable. And I was definitely looking for a Teachable alternative. I started looking at other online course platforms. I read someone’s review that Podia had amazing customer service and that she was actually chatting with the CEO on their customer service support. Which made me instantly go look at Podia. And I had a few very specific questions after looking at their online course hosting plans. So I used their instant chat feature and secretly waited to see how long their customer service would take. And they wrote back in 2 minutes. With actual support. And Very detailed responses. I wasn’t even a member yet. Over the next few days, I kept putting them to the test. I had tons of questions, because signing up for an online course platform is an investment. Every time I chatted with them online, they responded in minutes. And it was always thoughtful responses filled with valuable information. Oh, and the issue of being able to change my URL with a new course name before I officially published my course? Yeah, Podia allows you to change it! 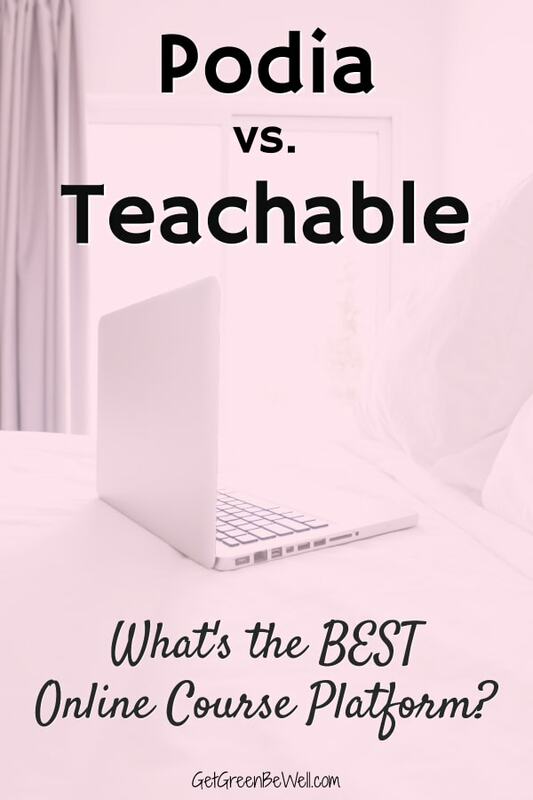 How much does it cost to use Teachable? And how much does it cost to use Podia? Comparing the costs of the two online course platforms isn’t exactly like comparing apples to apples because of their different payment structures. 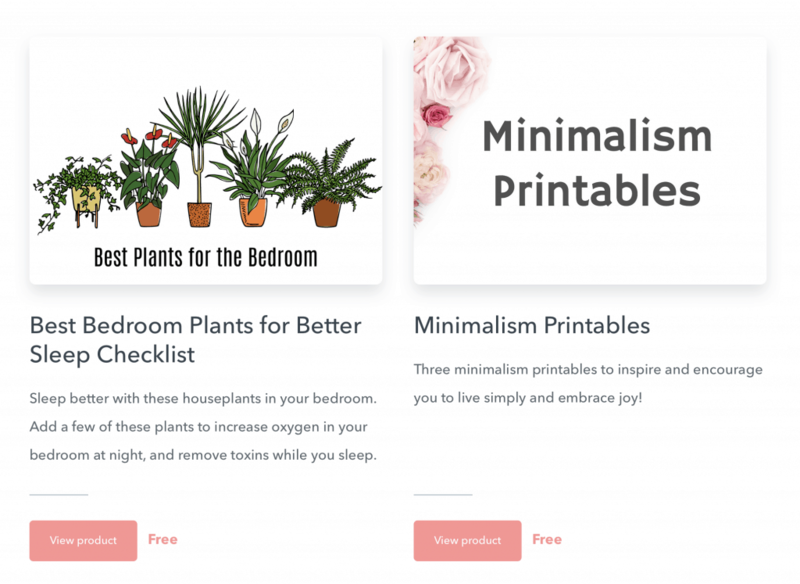 Allows you to host and sell (or give away as freebies) digital downloads such as eBooks, printables, worksheets, workbooks, prints, etc. Unlimited customers, emails, products to sell, everything! The Mover Plan costs $39 and the Shaker Plan costs $79 a month. However, if you buy a year membership you get two free months. AND, if you sign up for the 14 day free trial plan, they’ll send you a coupon code to get 15% off your subscription for life. I combined that coupon code with an annual membership in the Shaker Plan and it cost $671.50 for a year. Why did I sign up for another yearly membership? Because the price was lower, I had a good feeling about this, and you can change your account via Podia and somehow maybe get money back. I don’t know the specifics since I haven’t needed to do it, but I did ask customer service and they said there was a way if that had to happen, but that’s why they have the free trial. Teachable’s plans are a little bit different in what they offer. First, they do NOT have 24/7 customer support, as I have already made clear. The Basic Plan is $39 a month and the Professional Plan is $99 a month. If you choose annual payments, the cost will be $29 a month for Basic and $79 a month for Professional. Which Online Course Platform is the Better Value? When the numbers are compared, you can see that Podia costs less! That’s whether you choose a monthly membership or annual membership. PLUS, Podia gives you so much more than Teachable. Way More! We’ve already discussed the way better customer service and support. Which is a big deal if you have any problems in creating or hosting your online courses. Podia lets you host digital downloads, too. Which means you don’t have to create a membership library on your website, or pay for monthly subscription fees to Shopify, SendOwl or other digital download sites. This is very important if you are trying to increase your email subscribers by giving away freebies such as checklists, ebooks, digital downloads, etc. You don’t pay ANY transaction fees with Podia. Which means if your course makes $10,000 of sales, you won’t have to give up $500 of transaction fees (like you would if using the Basic plan on Teachable). A membership site is included. So if you want to create a free or paid membership site for your readers and subscribers, you don’t have to pay for additional monthly hosting with another membership website. It’s an extra added value for your readers. PLUS, it’s a GREAT idea to have on hand if Facebook groups ever start experiencing problems. Simplifies your online business. Think about it: what if all of your raving fans were in one place? You had access to their emails, their interests, their buying patterns – everything! – in one platform. No more having to export CSV files, send one email from one platform and another email from another platform, worry about hosting fees on each individual website, etc. FREE switching. You can change from Teachable or another online course platform with no time invested from you. And you don’t have to pay to hire someone else to move your courses over. I have noticed that signing up for courses in Teachable (personally, when I want to order someone else’s course) have had lots of problems. My friend Jennifer Maker has a lot of courses that I love. And she has flash sales. Which I always tried to take advantage of. However, the two times that I tried to buy her courses on Teachable, the payment wouldn’t go through. It would just get stuck and not let me buy the course. When I asked her about it in her Facebook group, she said that I wasn’t the only one having the issue. And instead of using credit card payments, try to use PayPal instead. I did and it worked. The problem is, though, that most people aren’t going to be as passionate about wanting to buy your courses. They won’t invest the time and energy to send you emails or track you down. It turns out that many people also posted in the Facebook group that the credit card transaction feature to buy the courses didn’t always work and you had to use PayPal. It seems like a problem that should be fixed, and yet I found it to be the case on Teachable for at least a couple months. Also, I can’t access Teachable easily on my mobile phone. And it’s not just me. My husband is subscribed to Teachable courses on a different account, too, and he always has problems getting the courses to pull up on his phone. In today’s world, if you are not mobile-friendly, it doesn’t make sense. 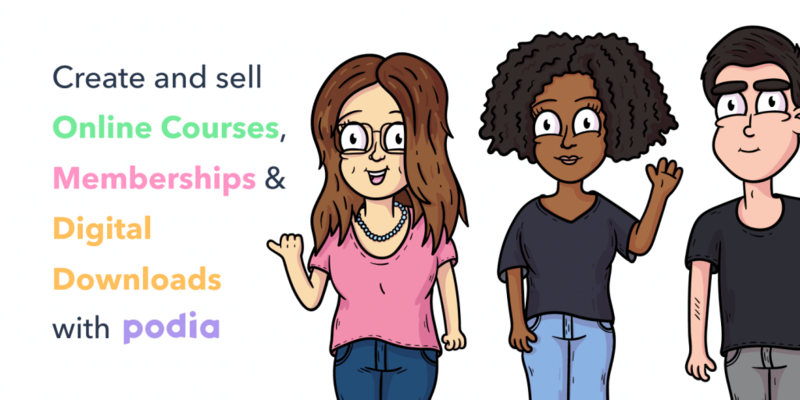 By now, you might be interested in using Podia as your online course platform. But you’re scared about what it looks like or how it works. I have several free courses, ebooks and downloads on Podia that you can try out to see how they work. Check out my Get Green Be Well Academy on Podia to sign up for and download my freebies. Of course, I also have my paid course, the Ultimate Home Detox Guide, which I would love for you to join, too. Also, check out my husband’s courses on How to Become an Imagineer, which is also hosted on Podia. If you’re interested in skyrocketing your growth and income for blogging, be sure to check out all of my Blogger Resources, including blogging services I use, hosting, and photography equipment. And be sure to check out the one online course that helped me triple my income in two weeks. If you have any questions about using Podia to host your online courses, please let me know!